Movement is SO important in clearing out toxins, stagnant energy & keeping your body working at it’s best. And with warmer weather coming, getting out & moving in the fresh air is so beneficial for not only your physical body but also your mind. Here are our favourite things that we are doing at the moment for Spring. 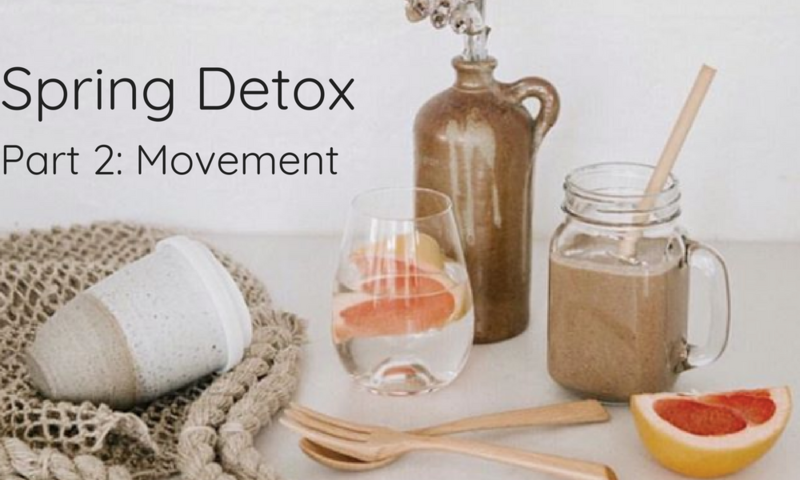 This is a big one for detoxing as Yoga can actually help eliminate toxic build up in the body, increase energy, improve digestion & of course strength and flexibility. If you’re not big on high intensity exercises yoga can be the perfect way to still get moving without being too hard on the body. If you don’t have any yoga classes near you or can’t make it to a class, we use an app called Gaia which is amazing for practising at home. The latest craze!A few of us in the office were a little skeptical at first, but after trialling it out, we’re hooked and couldn’t recommend it enough, but be prepared to sweat it out! If you are really wanting to step up your fitness game, F45 is popping up all over Australia so you should have no problem finding one near you. F45 is all about a fast paced work out and will get you working hard. But don’t forget yoru towel & water bottle, we love taking our Turkish Towel & water bottle along for this sweaty workout. Do we need to tell you the benefits of walking? We all know it’s great for you & there are so many great places you can get outdoors & go hiking! Get out of the city & into nature. It’s a fun & enjoyable way to get fit and have fun doing it. Pack a picnic and make a day of it & don’t forget your water! Our glass drink bottles are perfect for hiking. They are small and compact making them a great companion for these types of trips. If you can sweat at least once a day, you are giving your body the best chance of being able to detox itself. You can even do regular saunas/steams at your local gym or wellness centre and your body will say thank you! So we’ve detoxed our bodies and started to shake that booty, next in the series is our homes. We’ve got all the tips and tricks on getting that home spring cleaned so stay tuned!